For the past four years Bancroft’s has taken part in the ARTiculation prize. This is a national public speaking competition, which promotes and supports young people to look, think and speak about art. 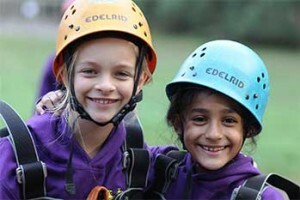 Over 1,000 students enter The ARTiculation Prize in England every year. 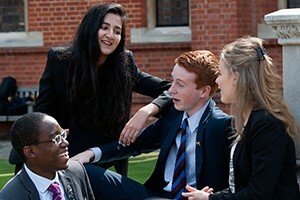 This London Regional heat saw students aged between 16 – 19 delivering ten minute-presentations about a work of art, architecture or an artefact of their choice in front of an audience and an adjudicator. 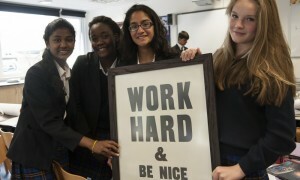 The heat took place at The Whitechapel Gallery on Wednesday 9 January, The schools taking part were Bancroft’s School, Bow School, Camden School for Girls, Farlington School, Godolphin & Latymer School, Kingsdale Foundation School, Morpeth School, Newham Sixth Form College, and South Hampstead High School. 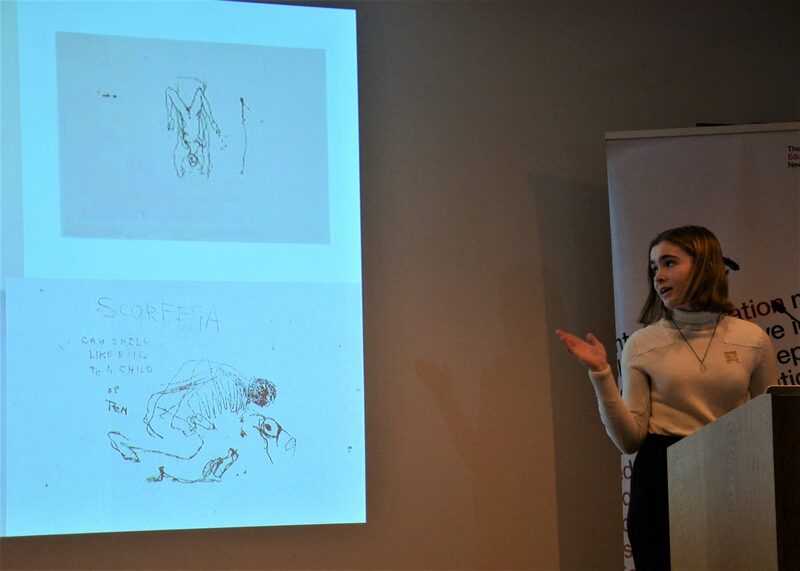 Bancroft’s was represented by L6 Former Victoria Morgan-Couch who spoke on Tracey Emin’s monoprint “Sad Shower in New York”. Victoria had already been selected to present following an internal heat at Bancroft’s. Of her choice, Vickie said, “It was a card in my collection of postcards that caught my attention just that little bit more than the rest. 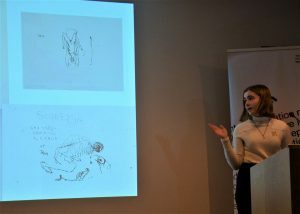 It was when looking through my collection that I realised that I hadn’t thought enough about that specific image and the reasons why the artist (Tracey Emin) had chosen to create the piece in the way that she had.” Adjudicator Kate Church praised Victoria’s presentation for her strong opening statement and for how beautifully put together it all was. Following Victoria’s success at the London Regional Heat she will present at the London Final of the ARTiculation prize at The National Gallery in February. One speaker will be selected by adjudicator. Tonya Nelson, Director of Museums and Cultural Programmes, University College London, to represent London the Grand Final at Clare College, University of Cambridge on 1 March 2019.